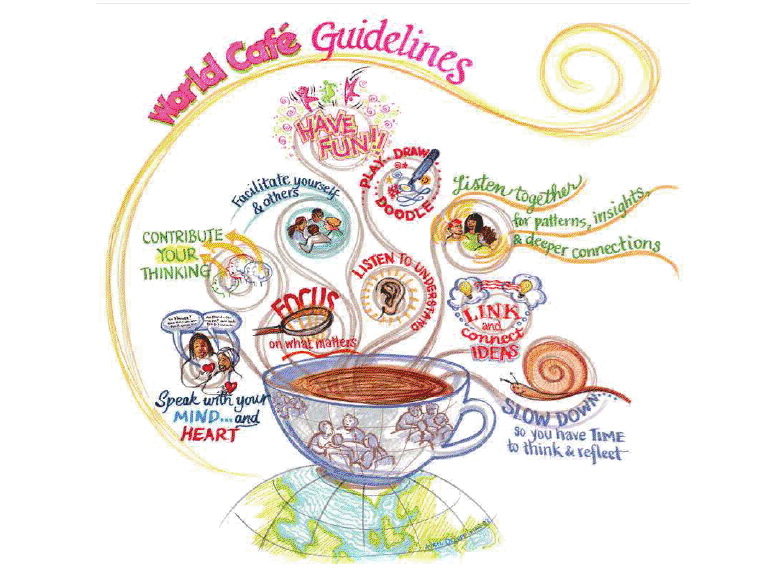 Lateacha: What is a World Cafe? 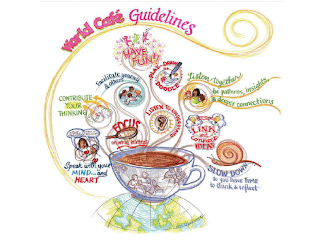 I was introduced to this concept at the phenominal 'Emerging Leaders Summit' run by Core Ed earlier this year. I tried it our when facilitating e learn pedagogy for 50 teachers from all levels of education and it was heaps of fun. It gets people talking openly and honestly while organising information. Everyones voice is heard even though there are huge numbers. See for yourself how it works and give it a go. You will be impressed with the ideas that result from it.